Rasheed Ali, Ohio Players, Larry Youngs Fuel, Peter Brown, Chieko Kimbara and more. This show was 77th in the global funk - soul - jazz chart. 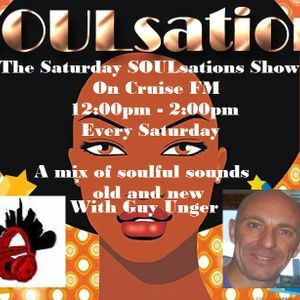 The latest edition of the Saturday SOULsations Show for you to enjoy. New Music from McCrei, Bosra Sham and another track from the Bespeak Love album. Some classic soul in the mix with a good helping of disco house at the end. Enjoy and share. Remeber you can get the show live at 12pm on Cruise FM!! Cheers David. See you later in the month! !